Salmon is a disorderly group of fish belonging to the Salmonidae family. It migrates, spawning in freshwater, and after a while, smaller fish move in the ocean. Salmon can easily be found in June, when the new fishing begins to be offered directly from the fishermen. Salmon is thin, elongated and laterally compressed, with silver leather and branched short tail. The head and back of the fish are dotted with tiny black dots. Small fish weigh 1 to 2.5 kg, but some species such as king salmon reach 40-45 kg. Atlantic salmon reaches up to 1.5 m in legth. 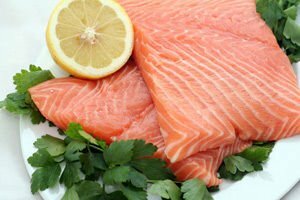 Salmon is one of the most popular fish in the world, people consume it for any reason - for weight loss, health, muscle mass. 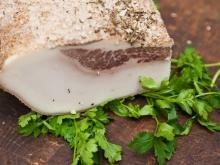 Not as expensive as truffles, we can certainly put it in the gourmet foods column. In Ireland, for example, salmon can be found even in the deli at the airport. In the heart of Dublin, this store has stood for 180 years, preserving the traditions and spirit of its people, offering all specialties, led by salmon. Depending on the habitat - if you live in the Atlantic and Pacific salmon has several types: Atlantic Salmon, King Salmon, Salmon Japan, Kuca Salmon, Pink Salmon, Sockeye salmon, Gorbuca and silver salmon. Cultivation of Atlantic salmon dates back to the 19th century when the UK introduced the first hatchery techniques. At that time, they produce juveniles that are intended to replenish the rivers for sport fishing. In 1960 the first marine farms in Norway install floating cages in fjords to market adult salmon. The initiative is reaping success, and fish farming began to develop first in Europe and then in all temperate seas. 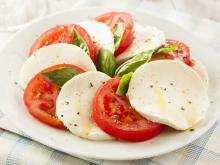 Too rapid an increase in production caused a glut on the market in the late 20th century. Salmon is an excellent source of vitamin A, vitamin B-group /B5, B6, B12/ and vitamin E. The content of omega-3 fatty acids in salmon is unmatched. 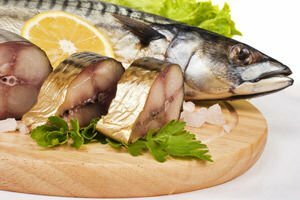 The composition of this valuable fish has large amounts of sodium, phosphorus and potassium, followed by magnesium, zinc and iron. 100 grams of salmon contains 142 calories, 6.34 fat, 55 mg cholesterol, 69 ml of water, 19.8 g protein. Salmon is chosen like any other fish. However, this fish comes more often in frozen form, so be extremely careful about the expiry date. Marine fish is stored more easily than freshwater. Fresh salmon dries well, wrapped in parchment paper and placed in an airtight container. Wrapped this way, the salmon should be placed in the coldest part of the refrigerator. Thus, the fish is kept for 2-3 days. It is possible for salmon to remain in temperature of -18 degrees. 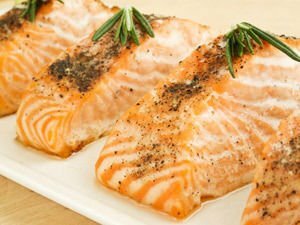 Salmon can not last more than a month and a half, because the amount of fat in it is great. 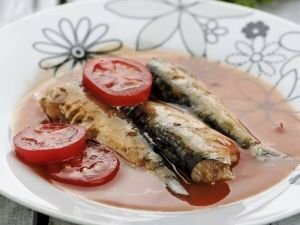 The basic rule that you must follow is to never freeze fish that is not fresh, and clean its insides. 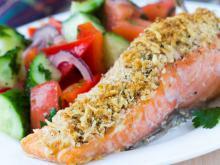 Salmon can be eaten pickled, baked, smoked or fried. Do not forget that it can be consumed raw, in the form of sushi or sashimi, only slightly salted. From gastronomic perspective, combining salmon with something pungent, sweet, ketchup and cheese is completely unacceptable. 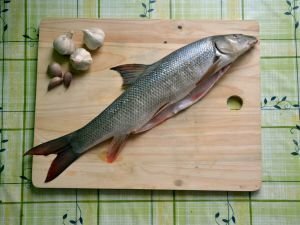 Consider these details when you prepare for a culinary preparation of this type of fish. 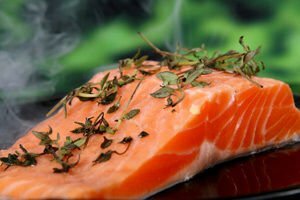 The process of cooking the salmon should not be too long because the fish can become excessively dry and unpleasant to eat. It is difficult to determine what the exact time of heat treatment, because the factors that influence it are different – shape of the fish, thickess and fat. 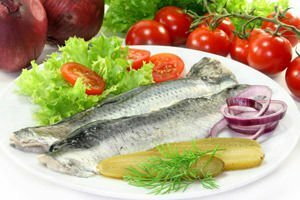 To get a real idea, it is best to measure the fish at its thickest part, then it cook 5-8 minutes for each measured centimeter. 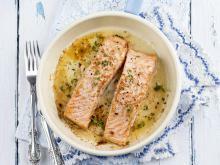 Salmon is served well with chilled white wine. Best for cooking is absolutely fresh salmon. It can be eaten raw with tartar sauce, or as mentioned, be prepared into sushi or sushimi. 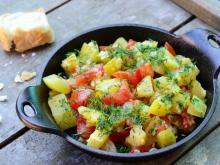 Marinate in lemon juice, olive oil and herbs. 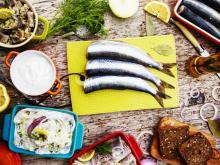 Fish is one of the most nutritious foods in the world. 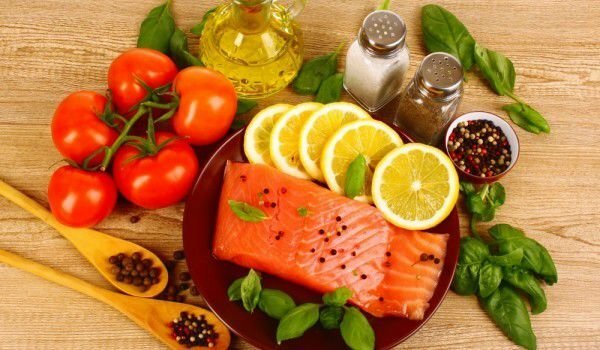 Salmon, which has an extremely high content of omega-3 fatty acids and many other valuable substances, is among the best of healthy foods. 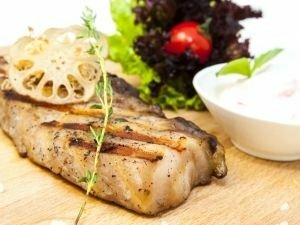 It is an extremely dietetic fish - low calorie and easily digestible. 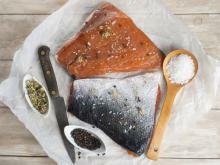 Omega-3 fatty acids are found in almost all fish, but in salmon, they are the most easily digestible. 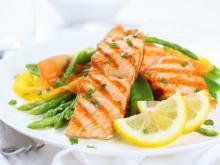 Salmon reduces the risk of cardiovascular disease, protects against various types of cancer /especially cervical/. It is believed to protect against Alzheimer's, depression, reduces blood clotting and regulates blood pressure. Salmon oil is an excellent tool in the fight against osteoporosis. 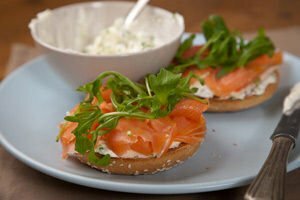 What Type of Garnish is Suitable for Salmon?